A Pakistani migrant, named as 23-year-old Naved B, was arrested for allegedly driving a truck into a Christmas market in Berlin, killing at least 12 people and injuring dozens others. Mrs Merkel has come under increasing pressure since her decision to allow in over a million migrants last year, with many calling for a drastic reduction in immigration. He also accused the German media of keeping quiet about the motive, leaving it to the foreign press to report that it had been a terror attack. He described the German press’s silence as “perverse”. 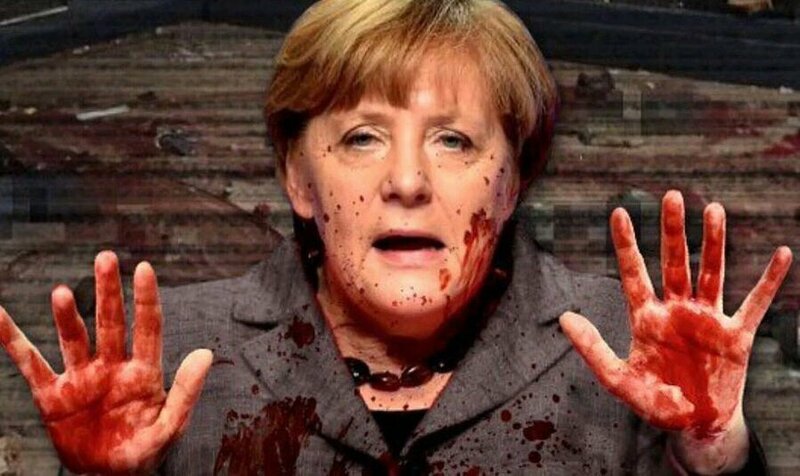 These are Merkel's dead just as Kate Steinle, Brian Jackson, Patricia Henneken, Louella Winton, and dozens of others are Obama's. More than Obama's dead. Based upon that dates at the web site you have listed and on http://www.immigrationshumancost.org/ ther is blood in on the hands of Bill Clinton. GW Bush. and all those in congress who have obstructed enforcement of immigration law. So naive! They're not getting the genie back in the bottle now. The Muslims are in Europe now and they are multiplying at a far faster rate than the Europeans. And they have their mosques and Imams where they freely radicalize more Muslims to hate Western values. It's not hard to see why this story doesn't end well. The irony is how the hand was extended to help these people is the one that's getting bit.